The decision to activate red lights and sirens (RLS) when transporting critically-ill or badly-injured patients can prove to be monumental. After arriving on the scene, providers of EMS will have to decide quickly if they need to load and transport the patient to the nearest hospital. This is because a patient could be in such a dire condition that even mere minutes could prove to be life-changing. These are the kinds of challenges EMS providers have to deal with and navigate wisely in order to stay true to their core values and protect the life of their patients. 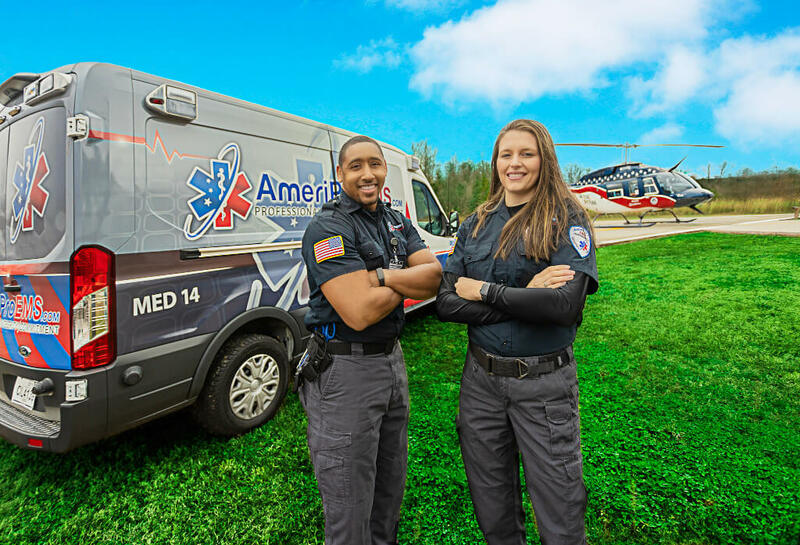 AmeriPro EMS, a reputable provider of medical transportation in Stockbridge, Georgia, makes decisions in due consideration of our clients’ safety and well-being. Below is a guide to help you make the right decisions for patients who require emergent transport. Safety. When transporting a patient, you should always prioritize safety – the patient’s, the public’s, yours, and whoever else is in the vehicle with you. Also, you never truly know how some civilian drivers will react when they see the flashing lights of your vehicle. They could either give way or do something unpredictable. With RLS on active mode, the occurrence of these uncertain, dangerous behaviors tends to increase, thereby also increasing the likelihood of accidents and collisions. Your destination. Your destination will also determine your transport mode. It’s important to be aware of the guidelines for which facilities should receive the patients you’re transporting. RLS may be needed when transporting to hospitals in urban areas because of the increased traffic, otherwise, if it’s in a rural area, then non-emergent mode would suffice. Dying patients. Is your patient likely to die before you get to the hospital? This question basically leads you to the patient’s level of time sensitivity. It requires you to make a judgment call on whether the patient may need a time-sensitive intervention that usually cannot take place before arriving at the hospital. If you come to the decision that there is no definitive treatment that can help a critically-injured or ill patient, you may activate RLS mode to get them to the hospital in the timeliest manner. The advantages. We are so often taught that RLS mode will get us to the hospital quicker. Despite plenty of studies still supporting this, some EMS companies are taking steps towards using RLS a lot less frequently as they lead to insufficient time savings. While there is no question that RLS mode can still help you navigate a crowded intersection or heavily trafficked road from time to time, there are also instances, particularly during the less busy hours of the day, when activating red lights and sirens is unlikely to lead to anything beneficial. Patient stability. A patient may have been at risk shortly after getting injured but a couple of good Samaritans were able to successfully administer first aid, control the bleeding, and stabilize the vitals. Similar to time sensitivity, your decision to activate RLS should also depend on the patient’s level of stability. You would also need to determine if there is something you can do to improve the severity of the patient’s condition. Reputable providers of ambulance service in Atlanta tell us that not activating RLS should be the rule, except for times when using them could prove crucial to saving a person’s life. This entry was posted in EMS Transport and tagged ambulance service, destination, emergency medical services, medical transportation, Patient stability, Safety. Bookmark the permalink.